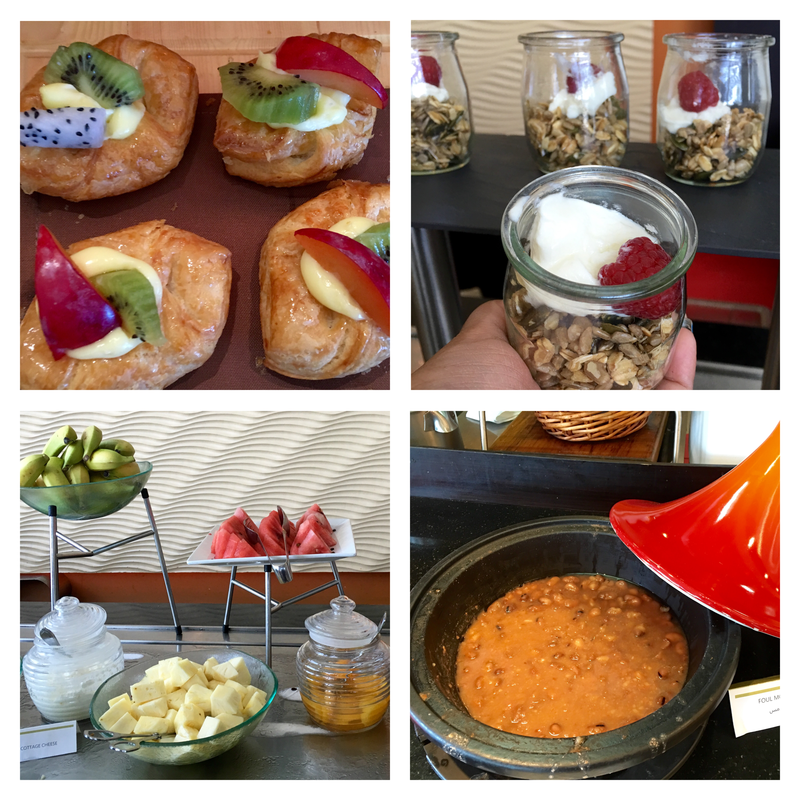 On our staycation at Le Meridien Al Aqah Beach Resort we visited Views for our breakfast. The Views is located at the Lower Ground Level of the hotel. It is an All Day Dining Concept. They offer international buffet for breakfast, lunch and dinner. 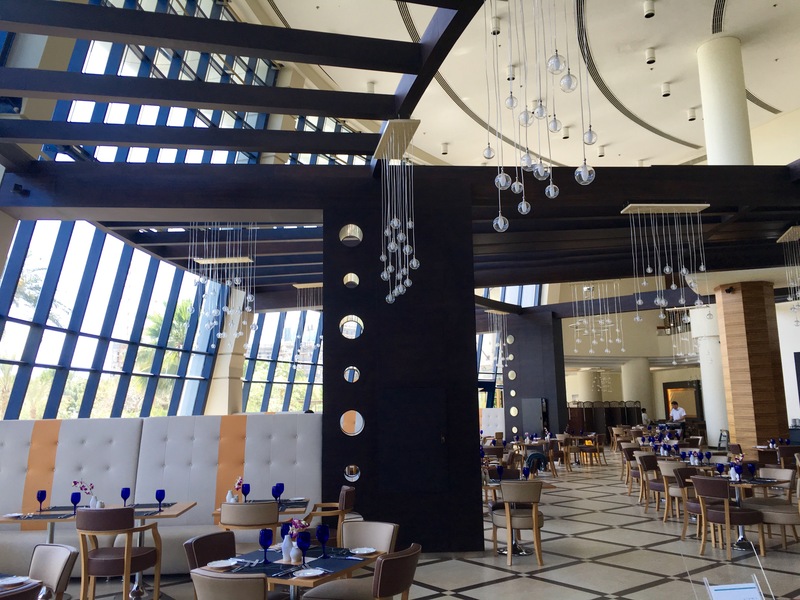 Views is a very spacious restaurant with a vast dining area. The interiors of the restaurant is modern and classy. The restaurant offers great view of the lush greenery and swimming pool outside. The atmosphere of the restaurant is lively and energetic. Loved the huge glass windows and the comfortable seating. The restaurant is bright and cheerful. Views is a family oriented restaurant and I liked the fact that they are extremely child friendly. They have many options for the kids. Even special requests are entertained. The international buffet offers dishes from Europe to Asia. The breakfast spread was massive. We were spoilt for choice. The huge range of options also offered healthy food. The breakfast also includes fresh juices and hot beverages. The kids had their favorite hot chocolate and hubby and I shared a pot of coffee. We visited the bakery section first. We loved the muffins, doughnuts, Danish and croissants. There was a variety of bread and pastries. The healthy food station had muesli, bran flakes, corn flakes and many other healthy options. The kids station offered flavored milk,flavored yogurt, sandwiches and a selection of cereal boxes. There was a section for cheeses, dry fruits, and cold cuts of meat. The fresh fruit station had fruits like watermelon, pineapple, apple, banana etc. Arabic station had Falafels,cold Mezze, foul medames and salads. Indian station had Indian breakfast favorites like Aloo Parathas and Masala Dosas. The Aloo Parathas were freshly made right in front of us. They were super delicious, we had it with pickle and yogurt. The egg counter served a variety of eggs from omelettes to French toast and fried eggs. The griddle station offered waffles and pancakes fresh off the gridle with various toppings and sauces. There was a juice counter with 3-4 types of fresh juices. There was something to please every palate. 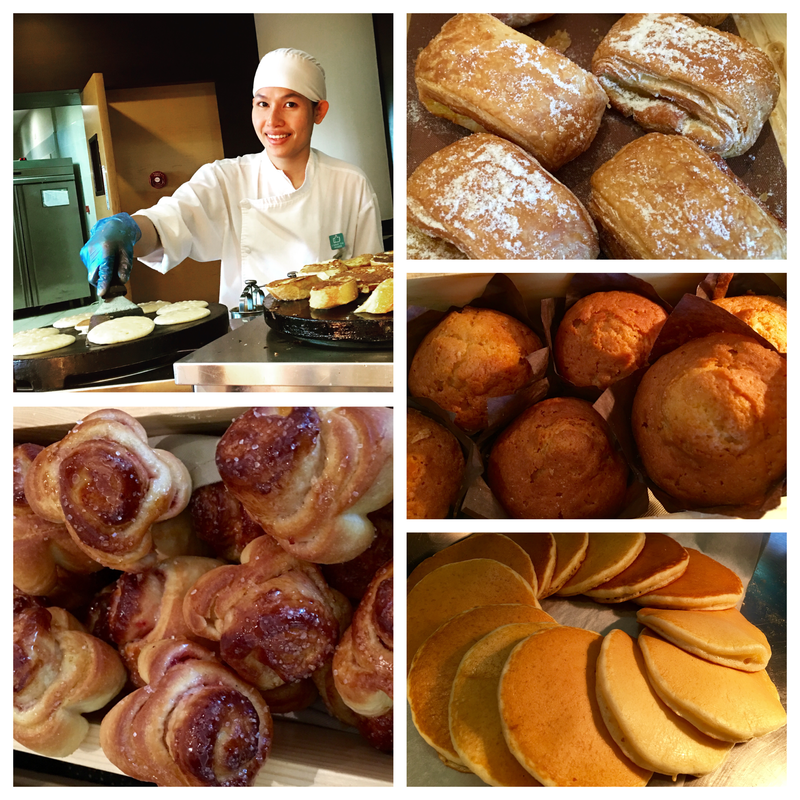 All the live cooking stations had an in-house chef whipping up some delicious breakfast item. The buffet spread was amazing . We loved the freshly made food. The service was good. The atmosphere is welcoming. Breakfast, lunch or dinner-Views offers a tempting fare.